Lillian Avery is out to prove herself. She's on her way to Boston to begin her job as a pharmacist, and she's overcome a lot in her life already, having lost her leg in an accident and adapted to use of a prosthesis. 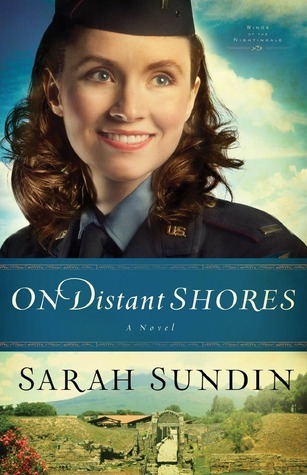 While her new boss makes it clear that he's unhappy about the necessity of hiring a woman due to so many men enlisting in the second World War, Lillian believes she can face this challenge and come out triumphant as she has in the past. On leave with his best friend, Ensign Archer Vandenberg meets Lillian and is immediately drawn by her beauty and her resilient character. It is also extremely alluring that she isn't pursuing him for the wealth of his old Connecticut family. Not only is she not pursuing him, she actually rebuffs his attention. If a little romance won't win her heart, maybe proving himself as a genuine friend will. She's only been on the job for a few days when Lillian notices odd prescriptions for large quantities of phenobarbital, a controlled substance believed to help with combat fatigue. Such amounts would not normally be prescribed, and when Lillian investigates she quickly finds that this is the tip of the iceberg - there's a drug ring in the area, and her safety may be in danger if she attempts to get to the center of it. Meanwhile Arch is back at sea and dealing with battle neurosis after the events of Through Waters Deep. As he navigates what could be a shameful ending to his naval career, he notices many of his fellow sailors seem to be dealing with drowsiness and lack of concentration. 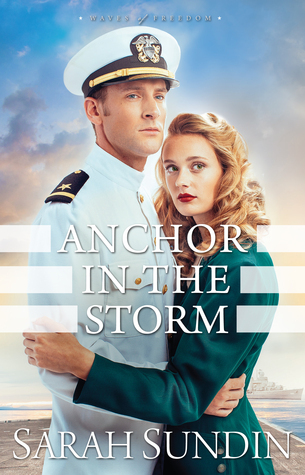 When he discovers that many of them may be turning to phenobarbital to cope with the horrors of war, and obtaining the drugs illegally, he and Lillian begin trying to piece together the puzzle that begins at a Boston pharmacy but reaches into the United States Navy. It is not only German U-boats and greedy drug runners who provide danger to the plot. Lillian realizes that while she has needed to be tough, a heart of granite is not an asset in life or love. Arch's insecurity over his wealth and his need to make an identity of himself apart from his family leads him to question the best things in his life. Is there hope that these two can work through these obstacles and predicaments and truly find each other? 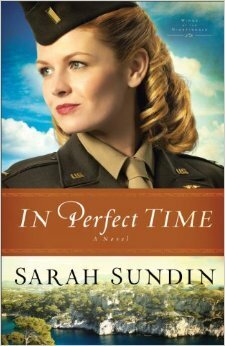 Sarah Sundin weaves a compelling story that will leave you turning the pages to find out what happens next. Another excellent book from this top-of-her-class novelist!